What the hell is going on with this Ford Aerostar? It has some sort of strange wood paneling, a lot of vents, and a control box. The switches seem to say “horn”, “low voltage alarm”, and “am/fm” radio? Was it a surveillance van, limo, taxi, or was it used for some strange profession? Who exactly buys a Ford Aersotar as specialized work vehicle new? 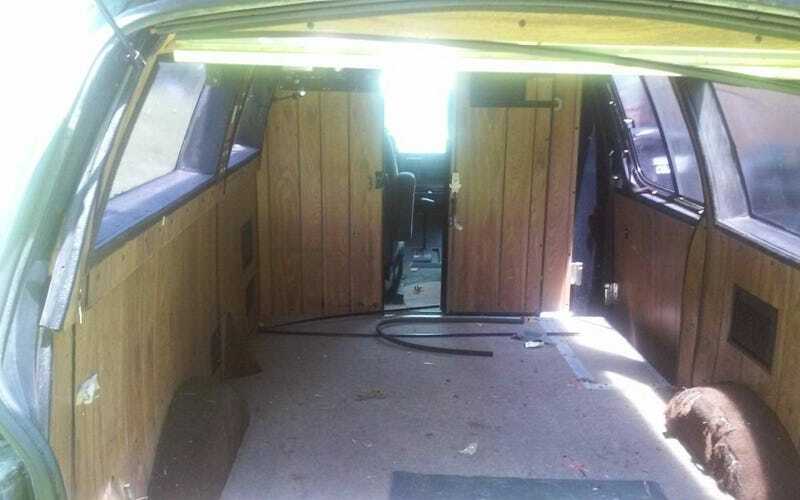 The ad only says it was “converted to a specialized work van”, which means the seller doesn’t know. What do y’all think it is?